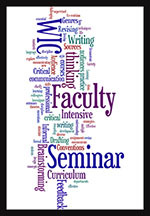 The WIC Faculty Seminar for the 2018-2019 school year will be held in fall term. Faculty interested in participating should ask their unit heads to email a nomination to WIC director Vicki Tolar Burton at vicki.tolarburton@oregonstate.edu. 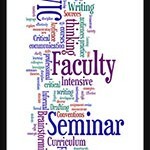 The seminar is designed for faculty teaching WIC courses and faculty using writing in non-WIC courses, as it focuses on learning best practices for teaching writing across the disciplines. Upon completing the five-session seminar, participating faculty receive a modest honorarium. Registration is now open and will continue throughout the summer.